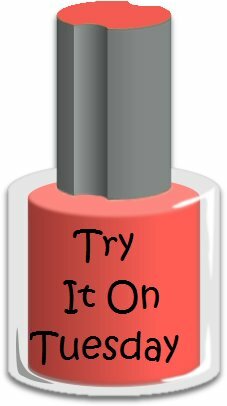 Time for another Try It On Tuesday! So this is just going to BARELY make it in time for Tuesday, but I’m happy I was able to get it done! Not to get into too many personal details, but my mother in law had major surgery today so most of the day was spent at the hospital. Everything went well though! I had trouble deciding what polish to feature tomorrow, so I picked the one I had never worn before to feature today. Whimsical Ideas by Pam can be found here on Facebook. To order any polishes from her, you send her an email with what you would like and she invoices you when she reaches your order. I believe mine took me 2 weeks to arrive from the time I sent in my email- not really a terrible turn around. 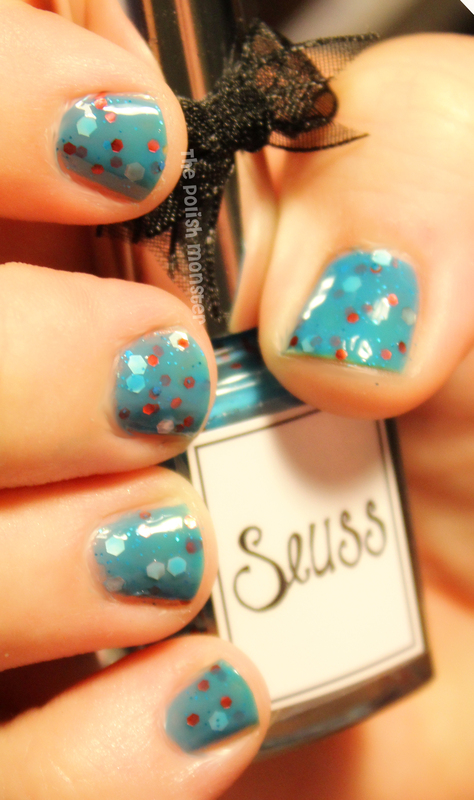 Seuss is a polish I had wanted very badly from Pam, so this was 1 of the 2 I bought from her. Though it’s not intentionally patriotic, it is still a good pick for a mani on any American holiday! This is on my right hand- aka my dominant hand. My nails aren’t as well cared for over on this side, my fingers are thicker and my nails are shorter. Big thanks to my hubby for taking these pictures- I couldn’t get out the tripod and I have issues taking pictures of this hand. I did have some issues with this polish. The glitter didn’t like to cooperate… so I had to do a bit of dabbing. If I didn’t, all the glitter ended up bunched at the end of the nail from my brush strokes. This was my second attempt with Seuss tonight- the first attempt was horrible. I was trying to get too much glitter on each nail, which resulted in glooping and just a horrible mess. The second time around, I just put on thin coats and tried to not pay attention to the location of the glitter.